As home owners begin preparing for retirement the need for scaled down empty nester house plans becomes evident. 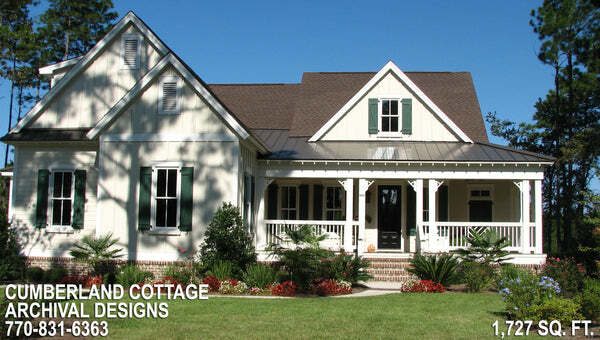 Small cottage designs and small luxury house plans are at the top of the list for these downsizing families. Small functional empty nester house plans demands different design elements. Aging in place is important which makes ranch floor plans most fitting for empty nesters. It is important for the house plan designer to use creativity to make use of smaller spaces and utilize every square inch available. Lofts in these floor plans are often an attractive option because of their flexible nature. In a ranch home, it can be built within the peak of the roof, under the main ridge, and overlook the finished area below. The loft can be utilized as a home office or a playroom for the grandchildren. The key to designing an empty nester house plan is to maximize seamless flow and flexibility from room to room. For example, focusing on an open "family triangle" keeps the kitchen open to casual dining and into the family room. Additionally, the interior design of the home plays a large part in the functionality of smaller spaces. Builders maximize kitchen storage by installing tall cabinetry throughout. Microwaves are often built-in to free up valuable counter space. In older homes, the space over a refrigerator was under utilized and hard to reach. Today’s empty nester house plans include deeper cabinets flush with the front of the refrigerator. As a result, valuable storage is added back into the kitchen. Side by side refrigerators are popular as they make better use of a smaller space. Occasionally, the master bedroom is on one side of the ranch house plan while the secondary bedrooms are on the other side. This layout eliminates long hallways and provides home owners the privacy they desire. Furthermore, blurring the lines between interior and exterior creates the illusion of additional living space. A popular moveable glass wall of sliding doors or a screened porch adds to everyday living space. 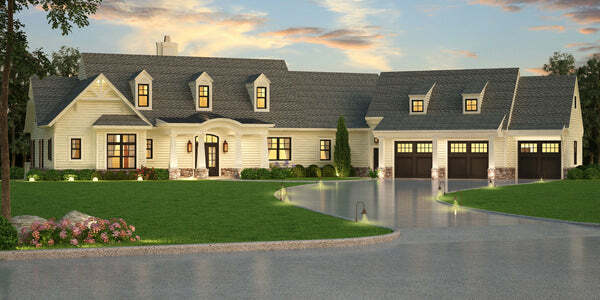 Presently, builders and developers often market to consumers in need of cost effective homes. It's important to realize empty nester house plans are in demand as the 55+ housing market increases each year. What are some elements you want to incorporate into your Archival Designs retirement home plan?